Thermodyn Global Sealing, where your success is sealed, specializes in Rubber products made in the USA. 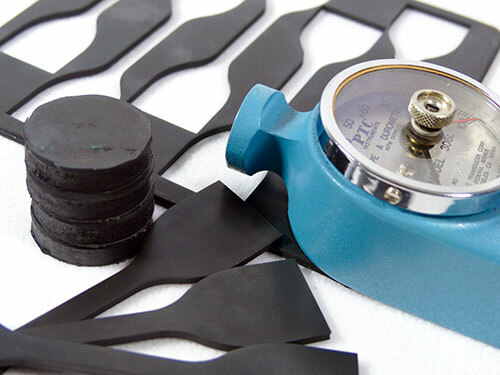 TGS has delivered high quality rubber and gasket products to the U.S.A. sealing and rubber industry since 1999. Thermodyn Corporation started Thermodyn Global Sealing back in 1999 to address the growing needs of the energy industry in the southwest. Thermodyn Global Sealing continues to focus on quick response and friendly service in high performance sealing materials. The product offering has grown significantly since opening in the ‘90’s, and many new products are added each year to bring value to its customers. Originally designed to be the distribution network for Thermodyn’s Ohio manufacturing facility, Thermodyn Global Sealing has grown into much more, now carrying a full line of elastomeric based sealing materials for quick delivery. Thermodyn Global Sealing’s 55,000 sf facility in Houston, TX distributes sealing products around the globe. Many international customers enjoying making one call for all their sealing product requirements. With strong technical sales and responsive staff, Global Sealing can ship many products the same day. Custom orders and small volumes are not an issue for the seasoned professionals filling specialty orders each day. If you can’t find the product you require, call your local Thermodyn Global Sealing representative. Our broad product offering and technical sales team can help match your needs with an engineered solution. Come experience the Thermodyn Global Sealing difference, its people you trust with products and service you can depend on. Our product line includes Natural Gum Rubber along with synthetic elastomers like EPDM, Neoprene, BUNA-N (Nitrile), Silicone, Fluoroelastomers and Viton® materials. Thermodyn Global Sealing rubber is produced in our ISO 9001 factory which meets or exceeds most ASTM and RMA specifications and is quality inspected. Fill Your Quality Rubber Needs & Custom Orders for Industrial Gasket Materials.